I haven’t written a product review in quite a while, but it was worth the wait! So, it’s not unheard of for some women to have an excessive quantity of shoes in their wardrobe. I am no exception, however, my tendency has always been towards the athletic type of shoe, not heels. 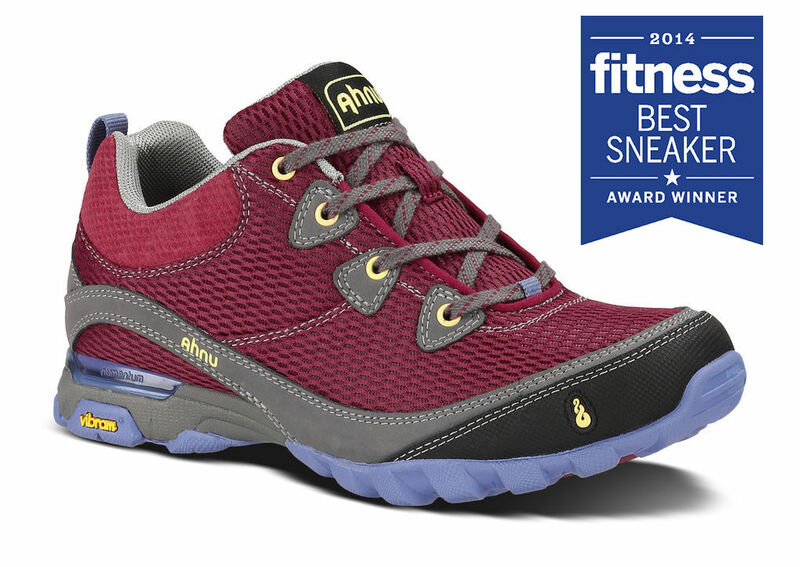 You can imagine my delight when these bad boys landed on my doorstep: The Ahnu Sugarpine Air Mesh Athletic Hiker. I really only started hiking within the last couple of years. I think I have begun to enjoy it more and more because of the peace and quiet of unplugging from society and the fact that I can do it with my family. Any time that I have gone out hiking, I usually just grab whatever pair of shoes I had handy and headed out for the trail. This is really ironic because with my background as an athletic trainer, I am ALWAYS nagging people about how important proper footwear is when exercising! As outdoor activity and adventure events continue to grow, I think Ahnu is ahead of the curve with the growing need for this type of footwear. It’s versatile and functional. So, besides the fact that these shoes don’t look or feel like clunky hiking boots, they are really sturdy and supportive. By far the best aspect is the fact that your feet don’t wind up sweaty or stinky like they would in a hiking boot. The sole of the shoe is extremely supportive and helps with motion control as you climb or traverse uneven terrain – which is really important with respect to injury prevention. It doesn’t hurt that they have some really cool colors as well. So, if you’re in the market for this type of shoe, or have a “problem” with shoes in general – like me – check them out! Next Boston (Really Is) Strong! Love http://www.gazellesports.com I am going to their Cross Training Challenge presented by the North Face tomorrow. Great post! A little too much shoe for me. In love with the minimalist shoe.